Stir-frys are one of my go-to meals when I want something quick, tasty and filling. 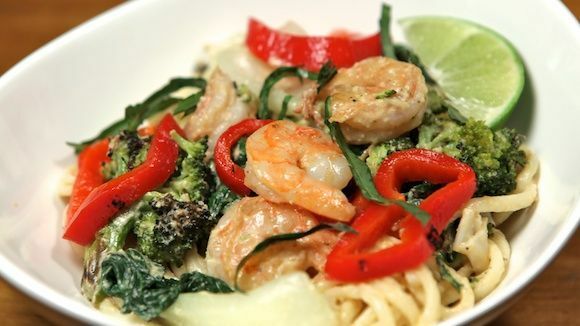 This version elevates a typical stir-fry to another level by incorporating two of my favourite ingredients together: cashews and coconut milk. The result is an extremely luscious, creamy and flavourful sauce that is happily soaked up by the noodles (and my taste buds). 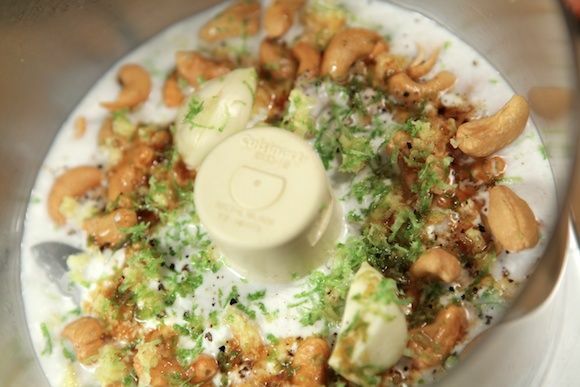 Think of it like an Asian-inspired cashew butter with a thinner consistency yet packs a whole punch of flavour. It may seem like there's a lot of steps involved; however, it is fairly simple and comes together quickly. When one component is cooking, you can work on the other. This is definitely one of my favourite stir-frys to date and is completely worth the effort. 2. Wash and cut the broccoli into florets. 3. Transfer to a mixing bowl and drizzle in a good amount of olive oil, sea salt and pepper. Mix until coated well. 4. Transfer to a baking sheet lined with aluminium foil and roast in the oven for 25 minutes. 1. Separate the stalks and wash the bok choy. 2. Heat a wok or large non-stick pan on medium low heat and drizzle olive oil in. Add 1 minced garlic clove and 1 tsp grated ginger and stir for about 30 secs. 3. Turn the heat up to medium high, add the bok choy and cook for a few minutes, stirring occasionally. 4. Add a splash of water, cover the wok and let simmer for a few minutes. 5. Remove the boy choy and set aside. 1. Clean mushrooms using a dampened cloth or paper towel. 2. 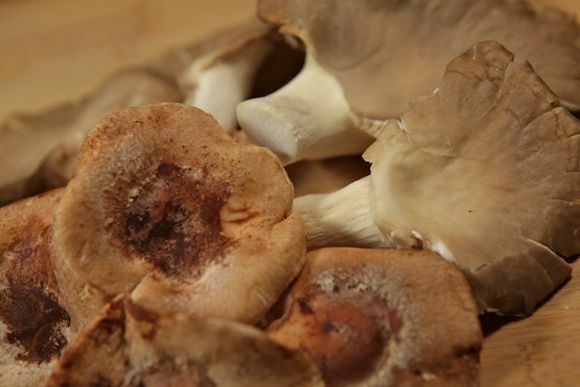 Cut off the stems and slice mushrooms thinly. 3. In the same wok or pan on medium high heat, drizzle olive oil in and add the mushrooms. 4. Add 1 tbsp of soy sauce and saute the mushrooms for about 5 minutes. 5. Remove the mushrooms and set aside. 1. If using frozen shrimp, let it thaw out first. Heat wok or pan on medium low heat. 2. When the pan is hot, drizzle a good amount of olive oil in and add 1 minced garlic clove, 1 tsp grated ginger and ¼ tsp chili powder. 5. 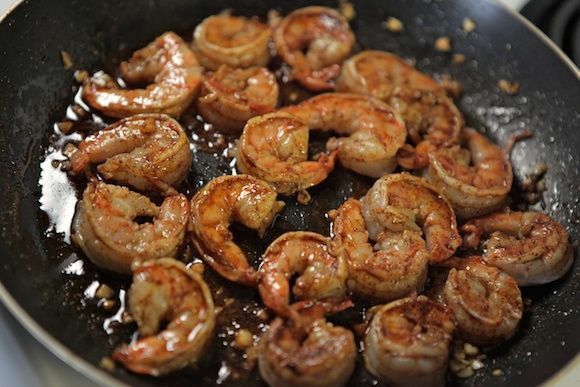 Squeeze some lime juice over the shrimp, then remove them and set aside. 1. Cook the udon noodles according to the directions on the package (about 7 minutes in boiling water). 1. 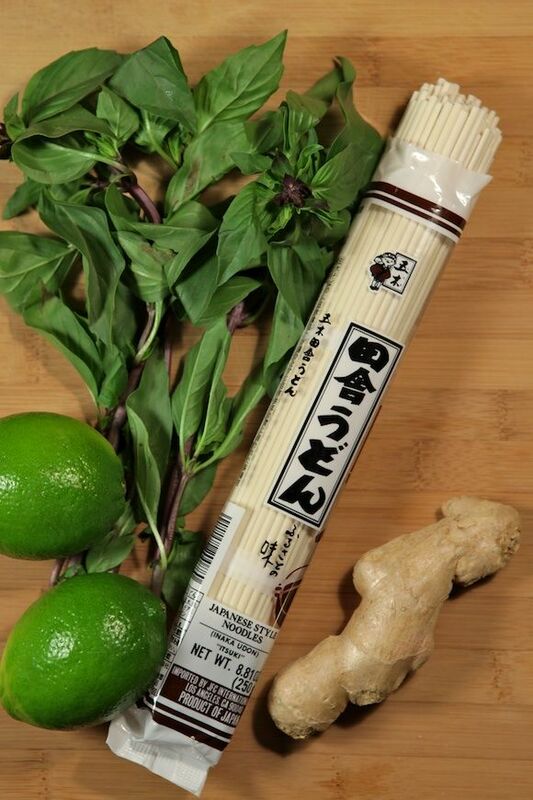 In a food processor, combine the cashews, coconut milk, 1 clove of garlic, 1 tbsp grated ginger, juice from ½ lime and zest from one, 1 tbsp soy sauce and 1 tsp sesame oil. 2. Blend until you get a smooth, creamy consistency. 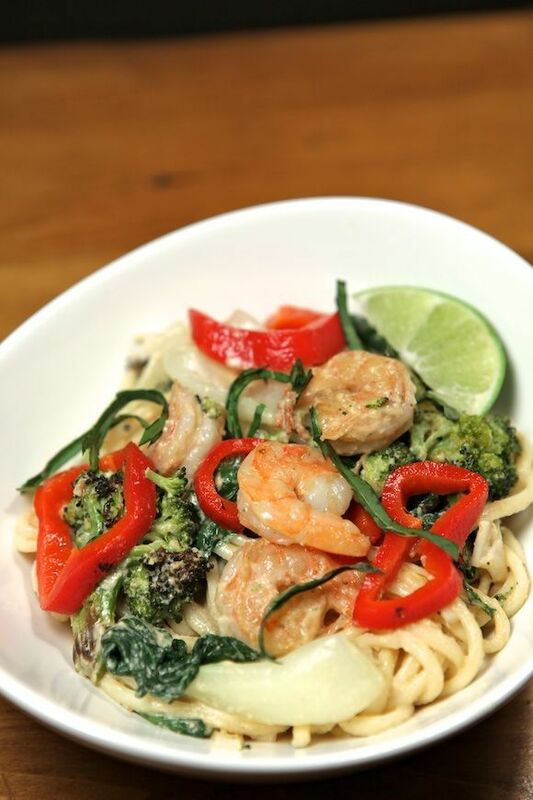 In a wok or pan on medium low heat, combine all the cooked veggies, shrimp and noodles. Add the coconut cashew sauce and stir in until everything is nicely coasted and heated through. Transfer to a bowl and garnish with basil, lime wedges, and slices of roasted red pepper for added colour. Enjoy! Wow! Great photos. Looks delicious! Thanks for sharing, Tiff. Thanks Christine! You should try making it, you would love it.